James, 61, departed this earthly life for his Heavenly reward on Sept 4, 2018. 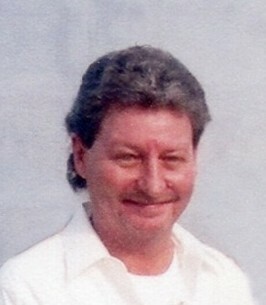 The son of Patsy (Wood) & Al Sheffield, James was born on Nov 1, 1956 in Coalgate, OK. After graduating from US Grant High School, James began working with his father at Sheffield Automotive. He later began working as a parking lot attendant at Will Rogers airport. He enjoyed camping and water skiing. James was also an avid racecar driver. He was preceded in death by his father, Al; and sister, Deana Brotherton. He leaves behind his loving mother and step-father Robert Phillips; sisters, Nancy Witt and her husband Larry, and Connie Wilkins and her husband Randy; as well as other loving family and lots of nieces and nephews. In lieu of flowers, memorials may be made to American Cancer Society. To send flowers to the family of James A., Sheffield, please visit our Heartfelt Sympathies Store. Although all consciousness ends when we pass away, our Maker, who is even aware of each sparrow that dies, lovingly remembers us. Your dear loved one is in his limitless memory. He promises to bring him and others in his memory back to life here on earth. Find comfort in his promise. What a glorious day that will be!" - John 5:28,29. Dear family of james Sheffield i may have only knew him for 2 years he was a amazing man and a really hard worker im sorry for yall lost. A fellow employee at ABM Will Rogers air port. We all will miss james very much. God Bless . We at ABM are so sorry for your loss. James will be greatly missed by all of us. I am so very sorry for your loss. I have wonderful childhood memories at the lake with the Sheffield family. My heart goes out to all of you. I'M SO SORRY FOR THE LOSS OF YOUR SON AND BROTHER. I ONLY KNEW HIM SLIGHTLY AS I HAD THE KM 73/75 WHEN I WOULD COME OVER AND VISIT. MY THOUGHTS ARE WITH YOU.